(17/P71) TRENTON –The Department of Environmental Protection is reminding New Jersey residents and visitors that all lifeguarded ocean and bay beaches along the Atlantic Coast are currently open, except for state-operated beaches at Island Beach State Park in Berkeley Township and Corson’s Inlet in Ocean City, due to the current shutdown of state government. 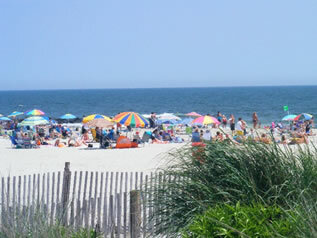 There are also no current closures or advisories among the 211 bay and ocean beaches sampled along the Jersey Shore for marine water quality. Routine water quality samples will be collected at all ocean and bay monitoring stations on Wednesday, July 5. Coastal surveillance flights, which typically operate six days a week from mid-May to mid-September, weather permitting, will continue on Wednesday, as well.